A digital designer who can create beautiful and intuitive interactive designs, but also can screen-print, build furniture, and make 8-foot-in-diameter pizzas. A strategist who has the brain of a quantitative researcher, heart of a qualitative researcher, and a side hobby of being a Nascar racecar driver. An account manager who has robust ad agency experience, robust client-side experience, robust broadcast production, robust cutting-edge digital work, robust management skills, paired with a slice of robust manchego cheese. This is what I call the hunt for a unicorn. 1) Locate a large, dense forest with a reflection pond. 2) Wear a hooded and footed bear costume, rubbed with the essence of eucalyptus and juniper ash. 3) Fast for a week, to strengthen my inner resistance to any and all forms of disturbance. 4) Become one with the forest. These four steps have led to a natural discovery of many unicorns – beautiful creatures whose gallops announce salvation, whose manes breath hope, whose horns sear triumph. Every time I pass one of our many unicorns in our mystical forest, I am reminded of the magical-ness and uniqueness of each one. It makes me want to scream at the top of my lungs: I love unicorns! 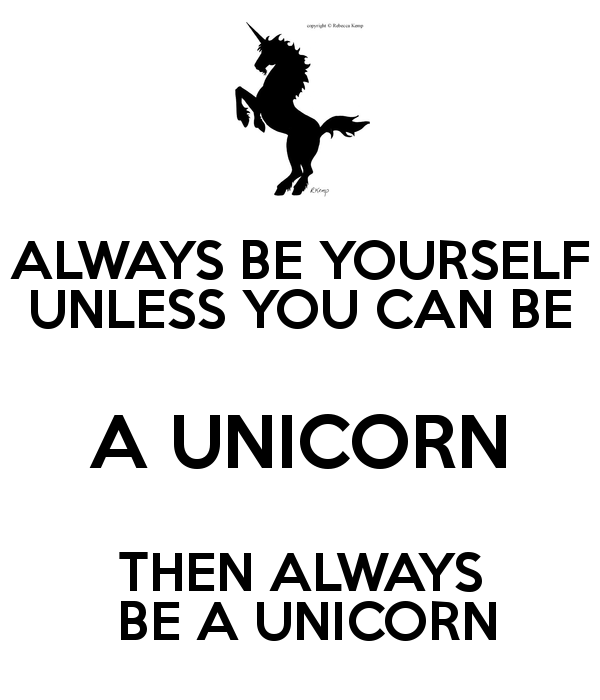 But I dare not, because to remain a dweller amongst unicorns, I must not scare them off, or disturb their habitat. I must lightly skip across the pond, the way unicorns do. I must glisten in the sun, the way unicorns do. I must defend my ground when savagely cornered by the enemy, the way unicorns do. But, I also must be tame to a kind person’s touch, the way unicorns are. I too, must become a unicorn.